2.0 sixth day box office collection: After a big opening weekend with the collection of 97.25 crores, 2.0 is holding well on weekdays. Read day 6 collection report of the film. Akshay Kumar and Rajinikanth starrer 2.0 is on a roll. 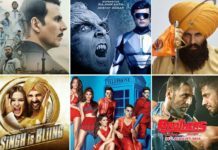 After a good opening weekend with the collection of 97.25 crores, 2.0 remained super strong on Monday and Tuesday. The movie witnessed just 23% drop on Monday when compared to the opening day. On Tuesday, the movie drops by 10%. This kind of drop is acceptable after a huge opening weekend. 2.0 had an average opening with the collection of just 20.25 crores. However, the movie recovered the lost ground on Saturday and Sunday by posting huge numbers. 2.0 earned 25 crores and 34 crores on Saturday and Sunday respectively to take the first weekend (4 days) total to 97.25 crores. The movie remained super strong on Monday. It witnessed just 23% compared to the opening day. On Tuesday, the movie holds well. 2.0 sixth day box office collection is 11.5. The total collection of the movie after 6 days stands at 122.5 crores. 2.0 is now the fastest 100 crore grosser for Akshay Kumar. 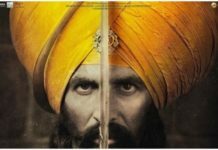 It is Akshay Kumar’s 10th 100 crore film and second of 2018. With 122 crores already in pocket, 2.0 is all set to become Akshay Kumar’s highest grossing movie. The theatrical rights of the 2.0’s Hindi version have been sold for Rs. 77 crores. The Hindi version of the movie needs to earn 120 crores to be called a hit at the box office. It is expected to cross this figure today. I am expecting the movie to earn more than 150 crores in its lifetime. The total budget of the movie is 550 crores. It has already recovered 560 crores before release through theatrical, digital, music and satellite rights. Talking about all India collection, the movie needs to earn 650 crores to become hit. What are your views on 2.0 sixth day box office collection? Share your thoughts with us in the comments section. Follow us for latest Bollywood updates and box office reports.